The first quarter-peal on the bells. 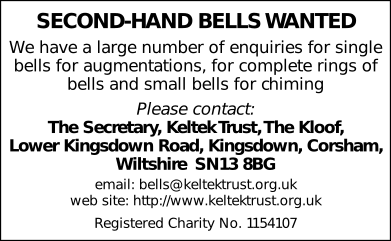 With very grateful thanks to Roy for hanging the bells, and to Alan for his generous gift of 4 of the bells. Birthday compliments to Glenis Coates for tomorrow. 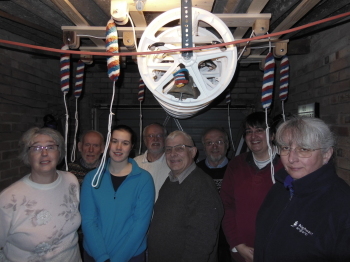 The first QP band (in ringing order anticlockwise from front left). Last updated Tuesday, 12 February 2019 at 03:35:22. First submitted Sunday, 10 February 2019 at 21:12:04 by Rachel Coates. This performance has been viewed 531 times.